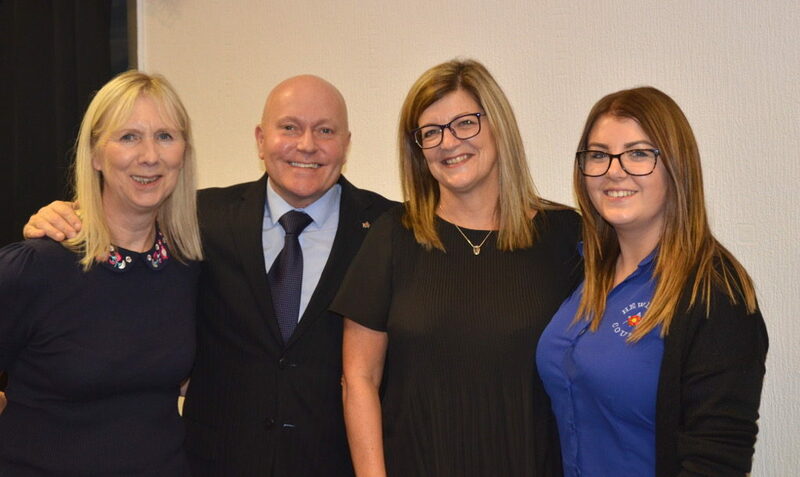 On the evening of 27 September 2018 the President of the ELMC, RWBro Sir David Trippier, had great pleasure in welcoming a large gathering of ELMC members and guests to the Annual General Meeting of the ELMC held at Audenshaw Masonic Hall. Such was the level of attendance that the hall staff had to quickly import more chairs! 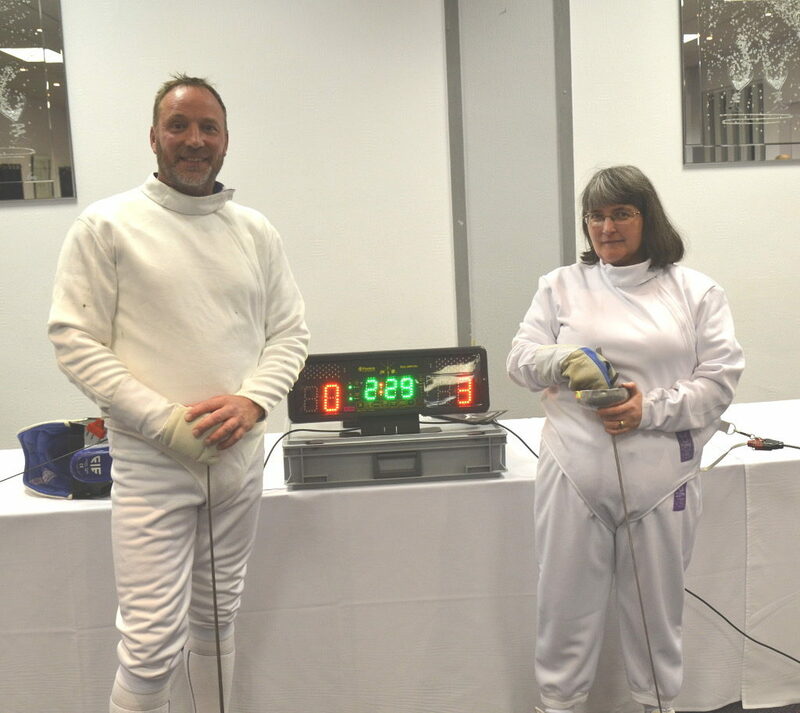 After the Secretary, WBro Philip Price, had explained the signing-in arrangements the President invited Paul Marr and Monique Waldron of the Salle Angelo Fencing Club of Rochdale to give a demonstration of fencing where they were able to show the members the scoring equipment which had been purchased with an ELMC Grant. 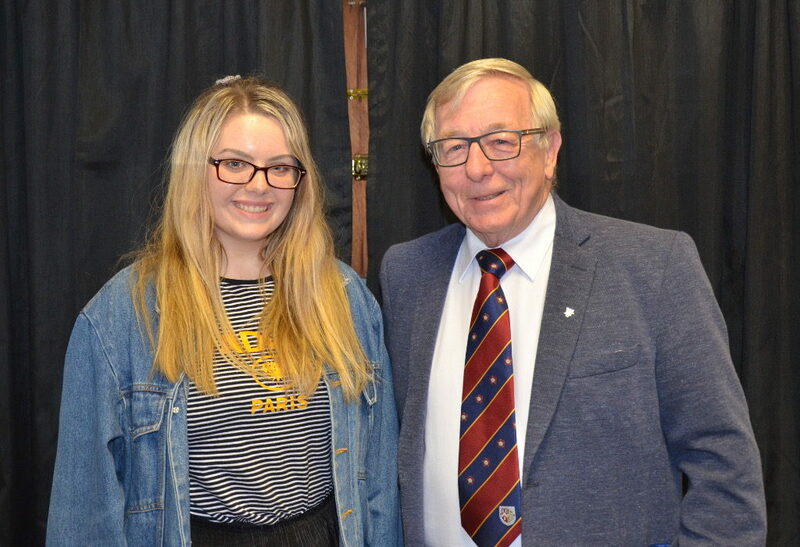 The President then called upon WBro Roger Tinker, the Chairman of the Young People’s Committee, to introduce Charlotte Hulson, a beneficiary of both the ELMC and the MCF for the past twelve years, who gave an excellent account of how Freemasonry had supported her and expressed her thanks for the opportunities extended to her. Sir David thanked Paul Marr, Monique Waldron and Charlotte Hulson for their contributions to the meeting. 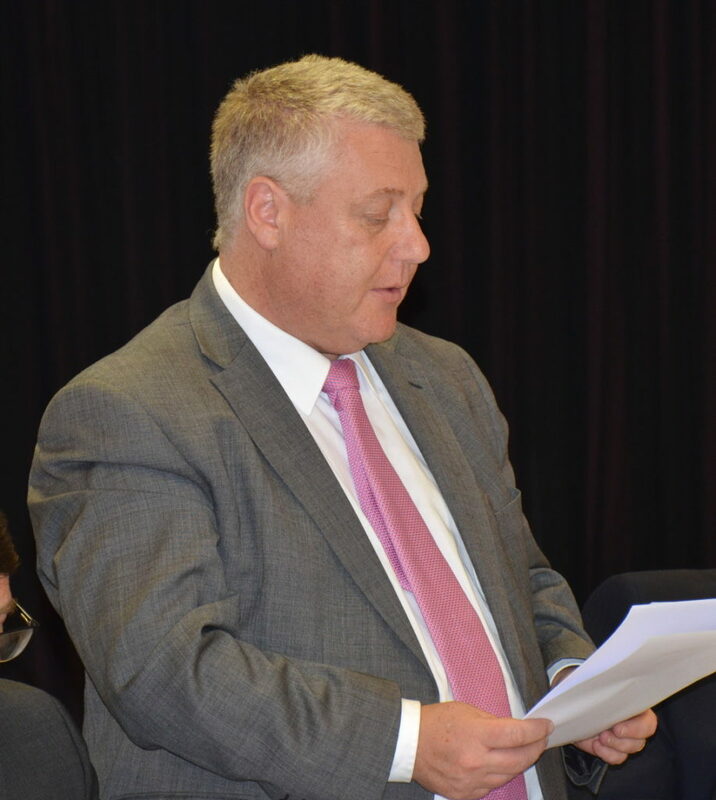 The Chairman of the ELMC, WBro Chad Northcott, then opened the formal stage of the proceedings by inviting the members to approve the minutes of the last AGM held on Wednesday 27 September 2017. After asking if there were any corrections requested a vote was taken which proved unanimous in favour of adopting the minutes. 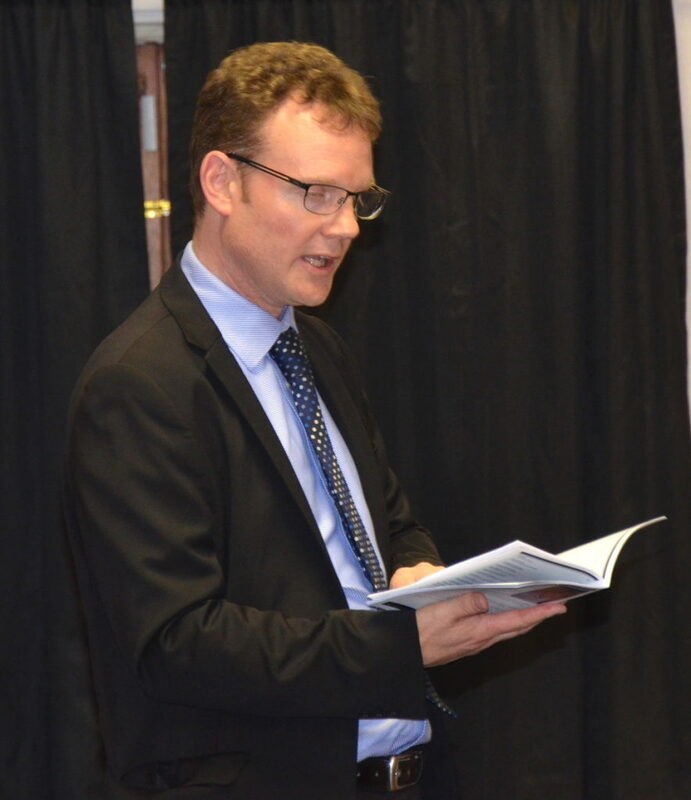 The next business was for the ELMC Treasurer, WBro Jonathan Brownson, to present the Annual Report and Statement of Financial Activities for the Year ended 31 December 2017. After thanking the Treasurer for his report the Chairman invited Tim Elston, a partner of Percy Westhead & Co, the auditors for the ELMC, to present the Auditors Report. After inviting any questions on the reports the Chairman expressed thanks to the auditors. 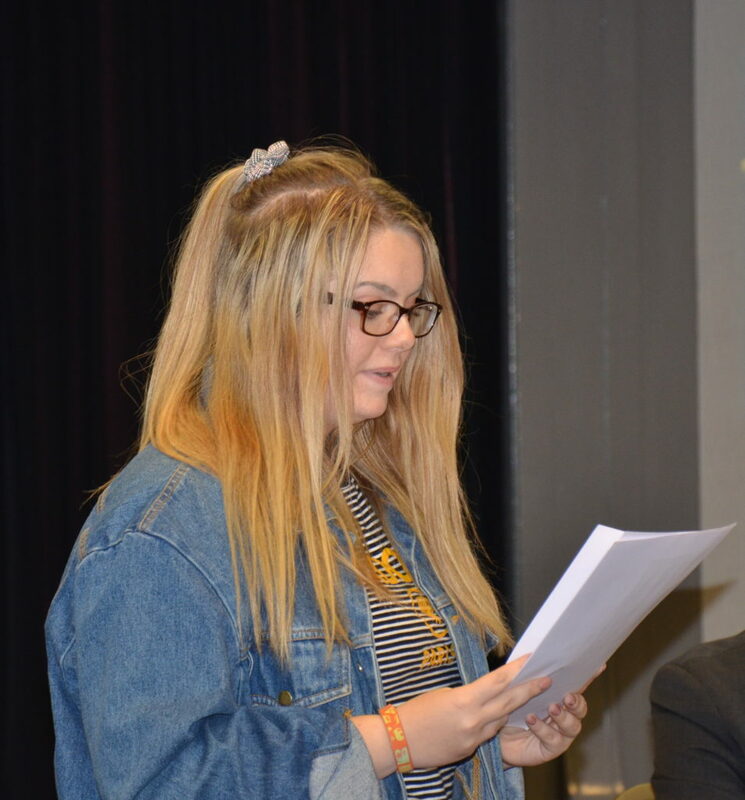 A resolution to Adopt the Annual Report and Statement of Financial Activities, proposed by the Chairman and seconded by the President, was voted on and accepted by the members. In thanking Jonathan for his report the Chairman explained that Jonathan is to retire as treasurer, a position he has held since 2012. If elected Jonathan’s successor will be WBro David Cowen, a former District Secretary, Deputy District Chairman, Deputy Provincial Director of Ceremonies and at the Provincial Grand Lodge Meeting will be appointed as Provincial Grand Junior Warden. Outside of Freemasonry David is a Chartered, and Chartered Certified, Accountant of longstanding. The Current Board of Directors: L – R, Kirk Mulhearn, Jonathan Brownson, Derek N. Thornhill, Chad A. Northcott, Sir David Trippier, William R. Waite, Mark Davis, Julie Ward, David Lightbown and Philip Price. The next business was to Elect Directors to the Board. The Chairman explained that the board comprises of between 12 and 15 Trustees with four of these being ‘ex officio’ Directors. These are the Provincial Grand Master as President, the Deputy Provincial Grand Master as Deputy President, the Provincial Grand Almoner and the Provincial Grand Charity Steward. 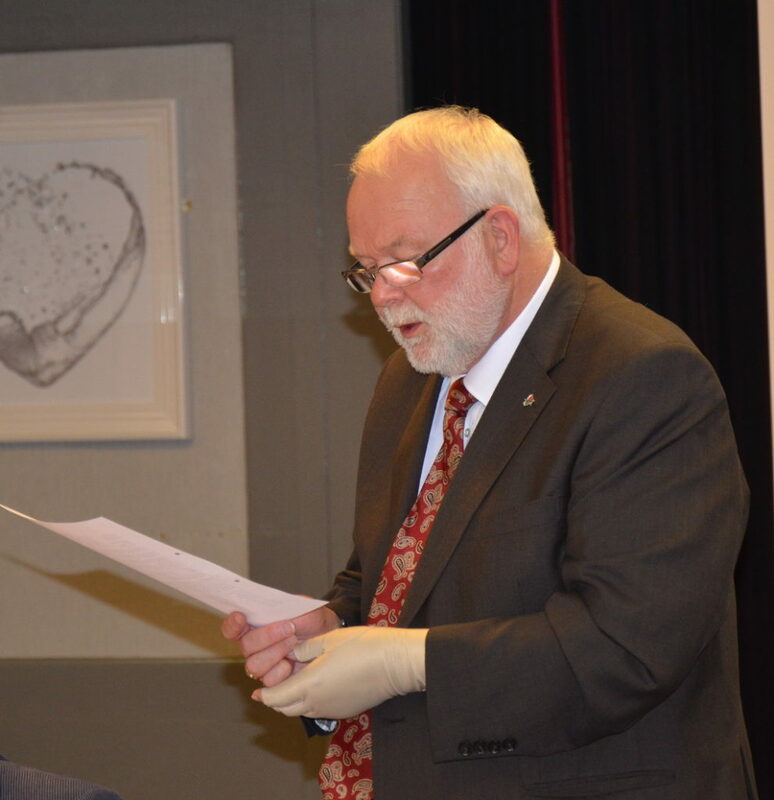 VWBro Derek Nelson Thornhill will stand down as Deputy Provincial Grand Master and Deputy Chairman of the Charity but remain as a Non- Executive Director of the Charity. On being invested Deputy Provincial Grand Master, John Farrington is to join the Board. On being invested as an Assistant Provincial Grand Master, Mark Davis, will retire as a Director and his sucessor as Provincial Grand Almoner, David Hudson, will join the Board. On being invested Provincial Grand Charity Steward, Stephen Clark, will join the Board with Kirk Mulhearn, the current holder of that Provincial Office, then retiring. The Chairman offered thanks to the retiring directors; VWBro Thornhill, a director since 2012; WBro Davis, a director since 2007; WBro Mulhearn, a director since 2017. After a vote approving the appointments the Chairman thanked those elected for their past service and for agreeing to continue to serve the Charity by acting as Directors. On a proposition and vote the present auditors, Percy Westhead & Co were re-appointed. The Chairman then thanked all those who have agreed to serve on the committees for the coming year and likewise the retiring members of the committees for their valuable work without which the Charity could not continue. The attendees were then invited to take drinks and a buffet supper.